Become a member and you will be eligible to join our highly regarded mentoring programme. Mentoring is recognised as a cost-effective and impactful way to prepare future business leaders. In the past three years 60% of people who participated in a PWN mentoring programme have gone on to achieve their life change goal, including promotions and career changes. Don’t miss out on your opportunity to advance your career! Mentoring can be for anyone, wherever they happen to be on their career path. A mentor is a person with whom you share your professional situation and sollicit feedback from them regarding your career plans – consider the Mentor as a confidential “sounding board” with whom you can bounce ideas around regarding possible career choices, in a neutral environment outside of your day-to-day workplace. The Mentor is not a coach – in other words she will provide feedback & suggestions regarding your longterm professoinal plans; she will not be guiding you on day-to-day tactical tasks to keep your current job performance on track. That’s what coaches do: focus on short-term results in your current position. Mentoring focuses on mid- to long-term career choices & goals. Don’t assume, however, that a mentor must always be someone “older & wiser” than you are – a younger person can also mentor an older one – it’s often called “reverse mentoring”. and it can be an amazing mentoring experience as well. When you ask someone to mentor you, remember to also think about who you could mentor….keep the virtuous circle going! What we can do to support you? PWN provides an effective mentoring structure to ensure that you get the most out of your mentoring experience, by calling upon a wide range of mentors, ensuring the best possible match for you, and following up on your progress through the mentoring cycle to ensure that the experience is a positive one. The mentoring programs in PWN’s city networks is cited in surveys as one of the top elements of satisfaction for members of PWN. Mentoring provides a huge benefit to the “Mentee”, the person who is being mentored, by obtaining a fresh perspective on their career status, aspirations & goals from their Mentor. But did you know that mentoring also provides a significant benefit to the Mentor as well? Many Mentors have commented that their contribution as a Mentor also provided themselves with a positive new way of looking at their own career path, as well as an incentive to reflect on there they themselves were going and how it aligns with their own aspirations & goals. It’s really a “win-win” exchange between Mentee & Mentor. 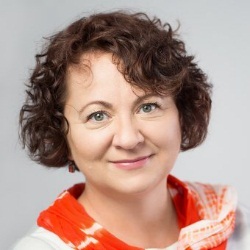 Magdalena Czubaszek is one of the co-founders and the Board Member of PWN Warsaw since 2011. Magdalena has over 15 years of professional experience in IT industry. She specializes in customer experience solutions, management & sales of new technologies, analytical solutions for business, Big Data and CRM. 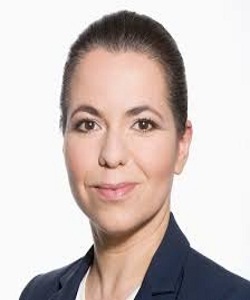 She started her professional career in 2000 and gained her expertise in several companies: in Microsystems as Marketing Manager, in Sygnity Group as a Key Account Manager, in Siemens Sp. z o. o. as a Business Sales Director. Currently she holds a position of Director FS in PwC. She is responsible for providing IT solution for Financial Sector (banks, insurance companies, pension funds and financial Institutions). She is a mentor and a certified ICC coach. She graduated from University Lazarski in Warsaw, in the Department of Foreign Trade and the World Economy and holds the Master Degree in economics. Coach, mentor, advisor, manager with experiences in sourcing, logistics/supply chain and products, including multinational corporations. Excellent competences of developing and implementing strategies, focus on business targets, cost reduction, results, goals, quality and standards oriented, process re-engineering, strong negotiating and motivating skills. Good analytical and planning skills. Creative, loyal. Experience in building and managing highly motivated, stable, effective and committed teams (between 12 – 70 people) working in the challenging business environment. Managing through competencies. Effective. Innovative. 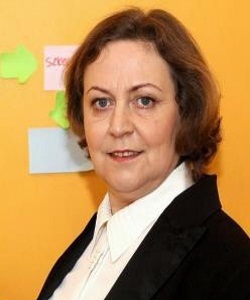 For over 20 years she is present as a coach and adviser in the business world. Actively created Novelty Consulting, one of the leading consulting firms in Poland. Expert in the field of human capital development, leadership, communication. Guides and supports personal and professional development. Associated for years with the international organization of speakers and leaders - Toastmasters International. As one of the few people in Poland she received the highest title in the organization - Distinguished Toastmaster. Now supports others in development as a mentor and motivational speaker. She performed on stage at the TEDx Warsaw Women conference. As a mentor and coach helps others to prepare their presentations. She runs her own consulting company with motto - COMMUNICATION is everywhere. (www.ewaturek.com). As a coach and trainer teaches the art of communication on the stage. Supports managers and board members in preparing effective media and public appearances. Over 15 years of experience in financial services in many areas like: Customer Service, Process Management & Coordination, Trainings & Recruitment, Control, Marketing, Quality and Customer Experience. Professional Business Trainer specialized in Presentation Skills, Customer Experience and Innovations. Focused on problem solving & process excellence (Lean Black Belt). Most of all passionate about delivering remarkable experience and inspire others, especially through inspirational and motivational speeches (she took take part in the TEDx CitiClientExperience Event). Engaged in promoting & supporting diversity awareness – the Member of Steering Committee in CitiWomen’s Network Poland. Manager and certified business trainer, experienced in financial sector. Successfully combines the art of training with coaching and facilitation. Supports her clients in the area of business and personal development. Career management & personal branding expert. Member of the Council of The Institute of Career Management. She has more than 15 years of experience in business image consulting projects, training and marketing-image building actions. An advisor in a coherent career and business identity management area, assisting people businessmen, politicians and media leaders. Based on experience in the key areas of brand building, such as brand creation, entrepreneurship, coaching and mentoring she has created the original HumanBrand® Program, inspiring many successful people with her positive approach. 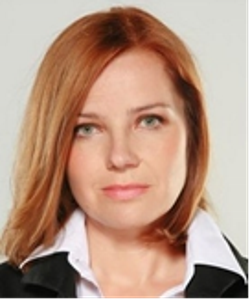 She is also president and co-founder of The Best Job Poland (www.thebestjob.pl).She lectures at the best universities and colleges in Poland such as Kozminski University post graduate faculty or Szczecin University MBA Program.